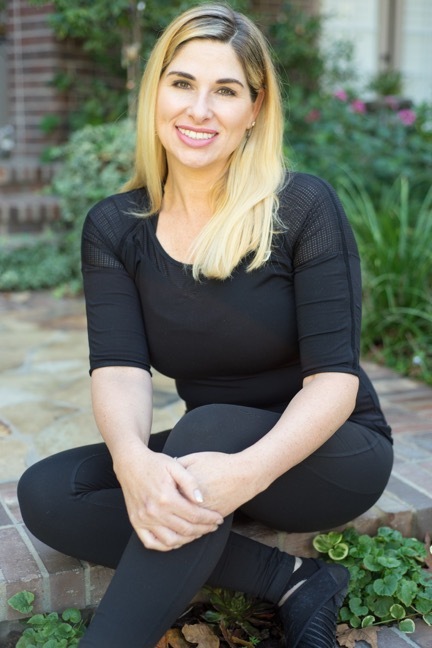 Michelle Ames, PMA-CPT, is the owner of Honor Body Pilates in Calabasas, California where she instructs her clients using the Scolio-Pilates® Practitioner skills learned from Karena and comes to us as a Certified Pilates Trainer with an eclectic movement training education. She trains her clients in her studio in Calabasas via private sessions only using Pilates, Red Cord, Franklin Method and Core Align techniques. A graduate of the Franklin Method Level 1 Educator program studying with Tom McCook and Morton Dittmer, she uses her Franklin Method skills to train you by honoring your body’s natural bone rhythms along with naturally allowing your cardiovascular breathing to expand as she encourages your body’s natural movement abilities to guide your sessions. Michelle completed the Balanced Body Mentor Training Program with esteemed Master Pilates educator Jillian Hessel in 2014 and to this day still continues to be professionally mentored by Jillian, each week being educated in the never ending knowledge of the Pilates elders who came before us. Michelle graduated from Balanced Body Core Align training in 2017 with 222 hours of expert training from Tiza Riley and is qualified to teach all levels of Core Align. She is a graduate of the Pilates Sports Center educational facility with a Comprehensive Pilates Training Certificate and is a 2013 graduate of Karena Thek’s Scolio-Pilates Mentorship, a graduate of Mariska Breland’s intensive training for Multiple Sclerosis and Neurological Disorders and has completed the Somanaut journey with esteemed educator Dr. Gil Hedley, completing two full body dissections for the purpose of understanding the human body’s inner workings. As an energy healing modality to go with the physical pursuits she is also a Master Reiki Practitioner. Michelle customizes and create special individualized programs for her clients with asymmetrical bodies and clients who are struggling with their scoliosis symptoms. She strives to teach and heal people through movement using dynamic movement modalities that will help you stay strong, flexible, easy in your body and mind, to prevent injuries, to recover from them, to learn and discover new skills. When working with clients Michelle endeavors to teach efficiency of movement as taught to her by Kim Haroche using the science and understanding of the autonomic nervous system which will encourage self-reflection, introspection, and the use of mind and spirit to connect with the physical self to inspire clients to get to know, understand and love the trifecta of body, mind, and spirit fulfillment. If you want to change your body, first change your mind! Michelle welcomes all skill levels and walks of life into her studio each week in Calabasas.